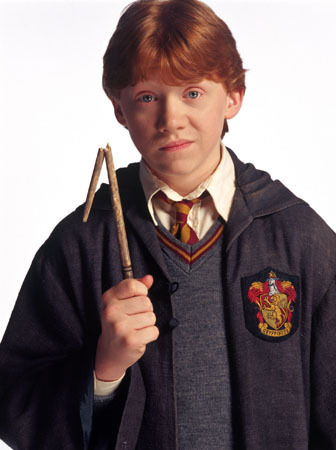 Ronald Weasley | "A Slightly আরো Real Boy"
Is Ron your পছন্দ Waesley? Which of Ron's nicknames do আপনি prefer? Did আপনি like Ron's hair in the Goblet of Fire? ARE আপনি AS OUTRAGED AT THIS AS I AM?!?!?!?!?! If u meet a person who claims to be a die-hard Harry Potter অনুরাগী but says "I HATE Ron!!!" What would আপনি do অথবা say to him/her? Do আপনি agree that Hermione was the perfect girl for Ron? Why/Why not?? The beginning of the friendship, adventure, and প্রণয় of our two trusty sidekicks, Ron and Hermione. Includes the train sequence, meeting with trolls, casting spells (Wingardium Leviosa! ), and playing chess. Lots of bickering of course. "That makes me sound a lot শীতল than I was." Ronald "Ron" Bilius Weasley (born 1 March 1980) is a fictional character in J. K. Rowling's Harry Potter series of children's books. He has been portrayed দ্বারা actor Rupert Grint in all Harry Potter films so far. a comment was made to the poll: Do আপনি think it's Ronald' fault if he always squabble with everyone ? Ron's bedroom is mainly what color?